I read the previous blog post Does banner ad revenue sustain bloggers? With interest and was quite pleased to see that I was not the only one who has not really had much success with affiliate banner ads. I have however had reasonable success with affiliate marketing and wanted to share a few ideas on how you can make money through your blog using affiliate marketing. With affiliate marketing, you will get paid for any sales from people that have clicked (through an affiliate link) from your site make. Cookies last for various amounts of time depending on the program so you could continue to benefit from any purchases even if they don’t buy the product immediately, for example up to 30 days after the initial click. As with any other form of monetisation of your blog, traffic volume is important but it is possible to make money with affiliate marketing even if you have a relatively low traffic volume. It is all about relevant quality traffic and people who share the same style or taste in clothes as you do. In case you didn’t already know, a deep link is a link that leads you to a page other than the homepage of the site. A deep link will lead the reader directly to the product or category page so that they can buy the item easily should they want to. Most affiliate networks will provide a tool to configure deep links for each affiliate program. You will just need to copy and paste the page URL and it will change it into an affiliate link for you. You can use this link for text and images so that any sales that you generate will be picked up and you will get paid your commission. If your blog is all about the clothes that you wear and how you wear them, people will tend to follow you because they like your style. If you include affiliate links to the clothes that you wear (where possible) and the clothes that you love, others may want to buy them. One of the most popular parts many fashion and style blogs are the outfit posts. If you have styled a piece of clothing into a great outfit it is possible that others will want to recreate the look or buy the piece of clothing. 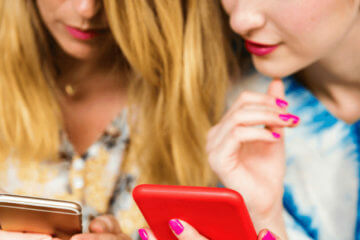 Brands are already buying into this form of marketing through sites like Chictopia. Where possible labels your outfit posts with affiliate links to each of the items of clothing that you are wearing. 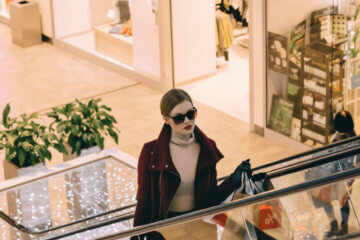 If you love a particular trend for the season and have spent some time researching the best places to buy a particular type of clothing, share the list with your readers. If you publish wish lists on your blog, try adding affiliate links to them and don’t forget to click on the links yourself when buying something. You can also add affiliate links underneath a set you have designed for Polyvore or a similar site. I have joined 3 affiliate networks which covers a huge number of the online fashion retailers. If you are in the UK try Linkshare, Affiliate Window and Webgains. I join all of the programs for retailers that I like and then add the links as and when I blog about a particular piece of clothing. Monetising your blog can end up taking away all of the reasons why you enjoy blogging and why people read your blog. But with affiliate marketing, sharing what you like is a great way to market because you are staying true to yourself and what you really love instead of just doing it for money. In the interests of transparency and honesty to your readers you can disclose the fact that you are including affiliate links in your posts, how you do this is up to you but it may help to read Defining and publicizing your blogs advertising policy by Ashe Mischief. I also don’t limit myself to just writing about brands/ clothes that I am an affiliate for, If I like something I blog about it regardless. I would suggest writing your blog posts first then adding in the affiliate links (where relevant) afterwards , this will make it more natural. Focusing on the affiliate side of it first could make your posts sound like an advertisement which is probably not what your readers want to read and not much fun for you to write either. If you have written a post about a particularly type of clothing, then why not optimise the page using the name of the clothing as a keyword. For example, if you have posted about white dresses for summer, then optimise your post with the phrase ‘white summer dresses’ or ‘white summer dress’. Your post may then start appearing on Google when people search for this term. Brand names and descriptions/names of particular pieces of clothing can work well on the search engines. This will not only drive traffic to your site but could also help drive sales for you. The more specific your term to what you have posted about, the more likely you are to get a sale from it. You can find all sorts of posts about optimising individual posts. But basically if you can optimise a post for a keyword or phrase by including it in your post title, adding alt tags with the keyword to your images and getting as many links back to the post using the title as possible. For WordPress blogs, there are some great SEO plugins that you can install to help you optimise your posts, if you are on Blogger; you might find my post Optimising Your Blogger Fashion Blog – a Beginners Guide helpful. Affiliate marketing is not for everyone and many bloggers may prefer to keep their blog as something that they do purely for enjoyment rather than financial gain. For those who would like to monetise their blog, I think that this type of marketing strikes a good balance between making a bit of money and doing what you love. I am sure there are plenty of other great ways that you can monetise your blog using affiliate programmes, so please share in the comments section if you have any that you have found to be successful. I was skeptical about affiliate links and it’s return, but I’ve recently gave it a try on my Twitter and realized it’s ability to generate $. Thanks for the post! great information! thanks for sharing..can you offer some good affiliate network sites in the u.s.? I was one who mentioned on the last IFB post that I like affiliates. Some companies are so easy to work with (I am US so I am a fan of Amazon Affiliates which works right inside the Blogger backend) and ShopSense (who has the easiest site, quick access to photos, links, Polyvore-like collages and more). I also use others, but these are the two most user-friendly companies I have encountered. Awesome post. Really good points. The only thing Im weary of, and don’t necessarily agree with is the “don’t forget to click on the links yourself when buying something”. Isn’t that sort of cheating? I would say clear your cookies and cache before you make a purchase so the brand isn’t “fake” paying you on top of that purchase. Just a thought about keeping things honest. I have been approached by a company to do this but have to say I have seen so many bloggs giving it the over kill with links it has put me off. It is something I might consider again though after hearing good things from you Ceri. I always thought like with banner affiliates it might be a lot of work for very little pay. yesterday i joined Amazon.com Affliates, it was super easy to throw the links in there. Great article. Can anyone recommend any affiliate programs? Unless you have a huge following, affiliate links will bring you enough money for a latte every couple of months. I used to try, but now I just don’t really bother. I have done a few on Twitter, I have a gaggle of Adsense ads (they pay nothing and take up a lot of space and are ugly). Is there anything that can really help a blog or web site make money if they’re not a portal or super-blog? ANyone? After a lot of years, I am not sure that anyone really makes a lot of money with affiliate programs or ads. Mostly, it is as one way street with the advertiser gettting a lot of play off of the blog or web site with not much in terms of renumeration going back to the blogger or writer. I’d love the secret-LOL! Great post! Right now I use Amazon Affiliates (very lightly), but I only add in links after I have written my posts so that I’m not writing just to include links. I have found that Amazon isn’t the best for fashion items so I’d be interested to hear if any other US bloggers have found good clothing affiliates. As for the discussion about clicking on your own affiliate links, Amazon doesn’t let you receive credit for orders from the same IP and/or being shipped to the address on your account. I have just signed up for ShopStyle.co.uk after reading this article- I love that it’s available for both UK and US bloggers! I’ve become a little obsessed with ‘sharing’ different items from the store with my Facebook fans- Earning a little money whilst sharing items your genuinely love? I couldn’t think of anything better! I’m on Blogger and I use the Amazon affiliate linkage. Haven’t seen any $$ from it, but it’s a great way to get a quick thumbnail + link of a book (or other product sold through Amazon) up into my posts. My latest post (FBFF-Outside Influences) was a massive list of fashion books and the Amazon linkage (just used links, no thumbnails) helped A LOT. Great info! I just signed up yesterday to be an affiliate. i like this article! thank you for sharing this information – it will help a lot! Great post! 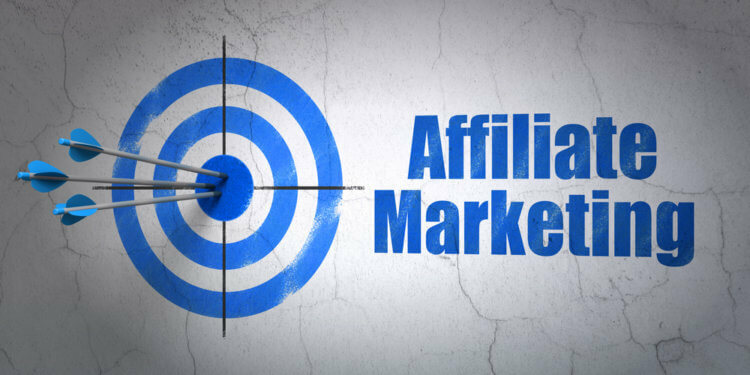 When I started doing affiliate marketing on my site, I found it difficult because unless you have ample traffic or an established brand it can be hard to get accepted into the affiliate programs you want. So until I was able to meet the different program’s criteria I used SkimLinks. SkimLinks is an affiliate with many major retailers & a great solution for people just starting out in affiliate marketing. Basically what happens is you install one link onto your web site and they automatically scan your articles & install an affiliate link. For example if I blog about Charlotte Olympia platform pumps available online at Neiman Marcus, they would install the affiliate link for me. Of course they take a cut of the profit but it can be worth it when you’re first starting out & aren’t able to get into the affiliate program’s you want. Another site I use for affiliate programs that wasn’t mentioned is Commission Junction – they’re probably the biggest affiliate source. Just thought I’d share some ideas on what helped me! I’ve tried all of the “Monetizing” tricks and I haven’t been so successful. I now just focus on my blog; I don’t want to get so obsessive that my blog looses depth because of ads and banners. I totally agree that writing your post first and then adding affiliate links if possible is the best way to go. Content should always come first. In the U.S., Commission Junction is the 800-pound gorilla of programs with Amazon Affiliates probably a close second. If you only sign up with these 2, you will cover a large number of vendors and products. For Blogger, the Amazon Affiliates widget makes link generation a breeze. It’s a little harder on WordPress self-hosted; try the PopShops plug-in. Affiliate marketing can be a great benefit to any niche blog. Personally, I use many different affiliate programs and offer some tips on the best way forward with affiliate marketing. Google Adsense is another good way to advertise goods and services and get paid for it. It is important to research first to find the right programs to work with and implement them. It is also important to find the best ways to get that all important traffic to your site and get them to stay and read what you have to say. There are many sites out there with lots of help and tips, (including my own, hopefully)! Finding out how to monetise ANY traffic source is a very important step in establishing yourself as an online business person. I don’t personally have any web properties in the fashion industry but I’m sure this advice can be applied to other subjects as well. Thanks for the article! but comes back a few days later and buys, I will still earn a commission. UNLESS, in that time she clicks on a Netaporter deeplink on another site. Whichever site she clicked last (that is affiliated to Netaporter obv) gets the commission. If she regularly goes on a bigger site like Shopstyle etc, does that not reduce the chances of my making commissions? We provide bloggers with fashion photos ready to grab from our site to your blog. It’s doing exactly what you love: blogging about fashion, and making some money while you’re at it. Hello there, simply became aware of your blog through Google, and found that it’s truly informative. I am gonna be careful for brussels. I will appreciate in the event you continue this in future. A lot of other people will likely be benefited out of your writing. Cheers! Grazie per gli articoli davvero interessanti! Grazia. I would definitely agree on joining affiliate programs, they are a great way to make cash online. I know I’m late into this thread but I’d like to share a couple of things that I’ve found out. It’s quite a hassle to sign up with all the major affiliate networks – they use different formatting for their reports, and monitoring payments takes a lot more time when you have to keep track of multiple affiliate accounts. In addition, their terms and conditions are different. Regarding clicking on one’s own links, Tradedoubler for example allows and even encourages affiliates to do that. Instead of signing up with different affiliate networks, there’s Skimlinks (like Ashley Spiker mentioned above). They aggregate most major affiliate networks and take a 25% cut from the earnings. Paying that probably makes sense given the amount of time and hassle you save as an affiliate (I have an account with Skimlinks but haven’t used their links yet). Skimlinks has an API as well which seems quite useful. One last thing I’d like to mention is in-image advertising. That might be a good way to monetize a blog – you add affiliate links in images instead of posting them in your text or adding affiliate-linked banners. This way, you can monetize your generic images, which is less intrusive. There’s a bunch of companies that do in-image advertising, like Stipple, Luminate, Thinglink, Kiosked and GumGum (GumGum doesn’t allow adding one’s own affiliate tags though). Some of these companies also let you add media tags to images, like a Youtube video or Spotify tune. Sharing this ideas for affiliate marketing would be a nice way to earn! This is a great post, my wife and I have just started a fashion blog approximately three weeks ago, for Couples of Style, and we would definitely try implementing some of these techniques for monetizing our blog here in the near future.